Congratulations to Lisa Nafeie from DLR, the German Aerospace Centre. 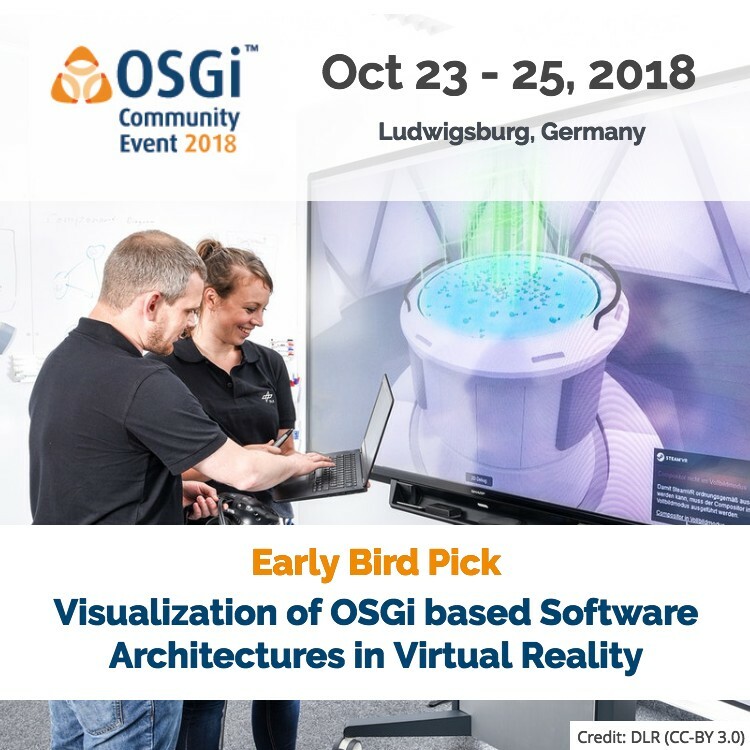 Lisa's talk, Visualization of OSGi based Software Architectures in Virtual Reality, has been selected as the Early Bird pick for the OSGi Community Event 2018. We were lucky to have the opportunity to speak with Lisa to get some further background on her talk. You can find our questions and her answers on the OSGi website. 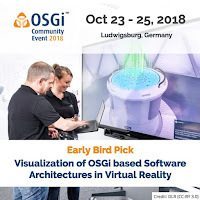 We hope that this talk gives you a taste for all of the interesting OSGi content we will have at this year's Community Event in Ludwigsburg in October. The OSGi Program Committee are busy reviewing all of the submissions to put a packed program together again this year. If you are already planning on joining us you will be pleased to know that Registration for the event is now open and you can secure the best prices by booking early.